Home » Blog » What do the Different Apprenticeship Levels Mean? For those considering applying for an apprenticeship for the first time. It can be confusing trying to get to grips with the various terms used to describe the different types of apprenticeships. One of the first things you need to understand if you are considering applying is. What the different apprenticeship levels mean. Knowing this will be an important factor in your decision. You need to know the apprenticeship you are about to apply for is the correct next step in your career. Also, not knowing what the different types mean makes it harder to decide whether you meet the entry requirements. In this post we will detail what the different types of apprenticeship levels mean. What more commonly known qualification they are equivalent to. And give you a rough idea of the experience you will need to apply for each level. Apprenticeships range from level 2 up to level 7. With level 2 being the lowest and 7 being the highest. These levels are also generally split into 4 categories. Intermediate, Advanced, Higher, and Degree. However, the important aspect we need to consider is what are these levels or categories equivalent to. A level 2 apprenticeship is often referred to as an intermediate level apprenticeship. Level 2 is normally agreed to be the equivalent or 5 GCSE passes. As this is the lowest level of apprenticeship available. There is generally no eligibility criteria for application. However, you will need to demonstrate you have the ability to complete the course. You will need to be over 16 years old to be able to apply. Companies are also going to be looking for you to demonstrate a good attitude towards the course to make you an offer. A level 3 apprenticeship is known as an advanced apprenticeship. A Level 3 would be considered to be the same as 2 passes at A-Level. The level 3 is a common next step for those who have completed a level 2 apprenticeship. This is because to be considered for a level 3 apprenticeship. Companies will normally be looking for someone who has completed a level 2 apprenticeship, or has 5 passes at GCSE. There will be instances were no formal qualification will be needed to apply for a level 3 apprenticeship. However, in this instance you will generally need experience of working in the industry to be considered. A level 4 apprenticeship is equivalent to a foundation degree, a Higher National Certificate (HNC), or the first year of an undergraduate degree. Higher apprenticeships start at level 4. Hold a level 3 NVQ/SVQ qualification. Have a BTEC National qualification. Employers may also require 5 passes at GCSE at grade A – C (9-4 on the new scale). As with the other levels, requirements will be different depending on the company. Just because you don’t fit the criteria for the first level 4 you see doesn’t mean you should stop looking! Level 5 apprenticeships are also classified as higher apprenticeships, but are the equivalent of the full degree. The requirements for a level 5 apprenticeship will be similar to that of a level 4. However, as this is a more advanced course it is not unusual to see more specific requirements from employers. For example, for an IT Apprenticeship a company may ask for a minimum of grade C at A-Level in ICT alongside other requirements. Degree apprenticeships are new types of course offered by universities. The level 6 apprenticeship gives candidates the opportunity to obtain a full bachelor’s degree. The level 7 is an opportunity to gain a masters degree in your chosen subject. As these are demanding courses. It is common to see strict requirements from employers for these apprenticeships. You will almost certainly need prior qualifications. And these qualifications will need to be transferable to the apprenticeship in some way. Now you are aware of what the different levels of apprenticeship mean. You can narrow down your search to the opportunities which match your experience. 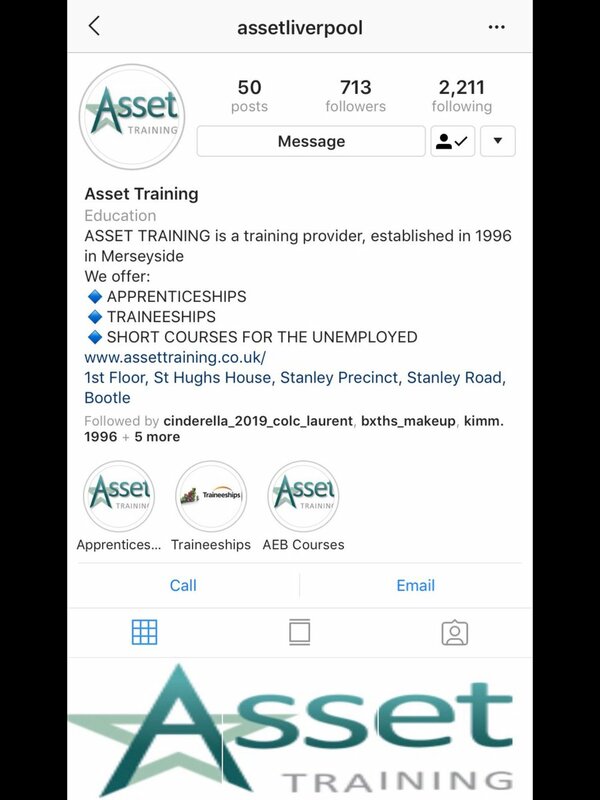 Asset Training have a wide range of apprenticeships available across a number of sectors. Here you can find our latest vacancies.